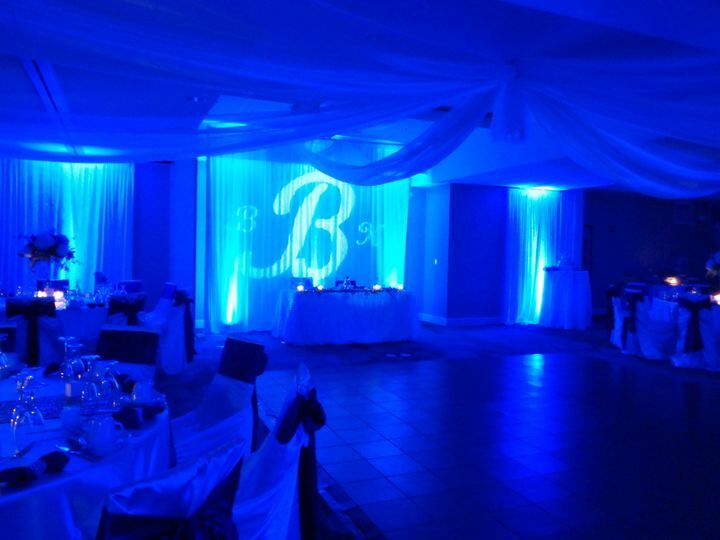 Brett Brisbois Events is a DJ event company located on Merritt Island that serves all of central Florida. 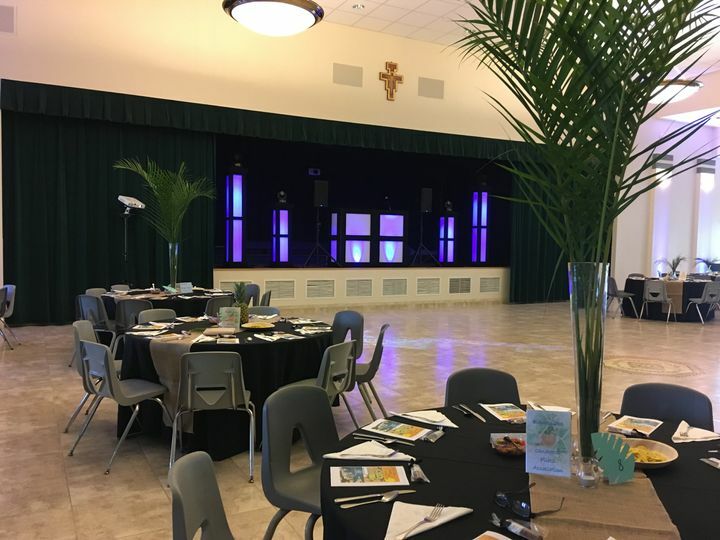 They have been providing high-quality services for over 20 years and carry an extensive music library plus professional sound, lighting and A/V equipment. The dance floor of a christmas party with 300+ guests in attendance. 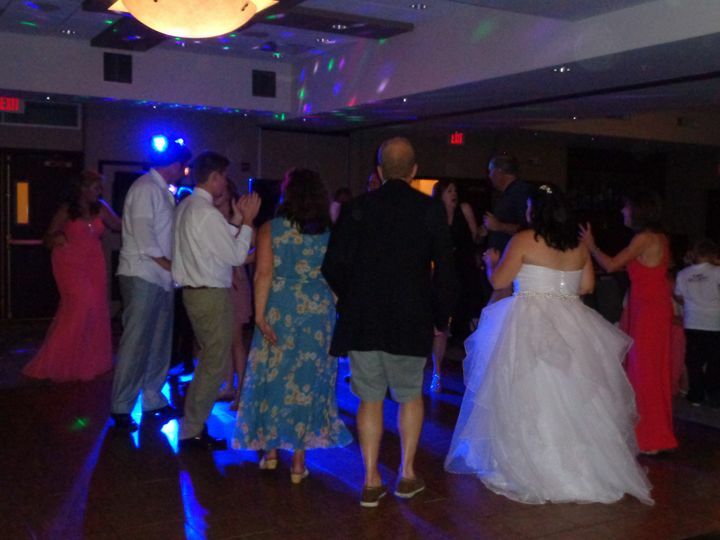 This dance floor was big - but not big enough once the guests started to party! As Mother of the Bride, I was my daughter's wedding planner leading up to the day of the event where I hired a day of planner to implement our vision, plans, and coordinate with all our vendors on the big day. 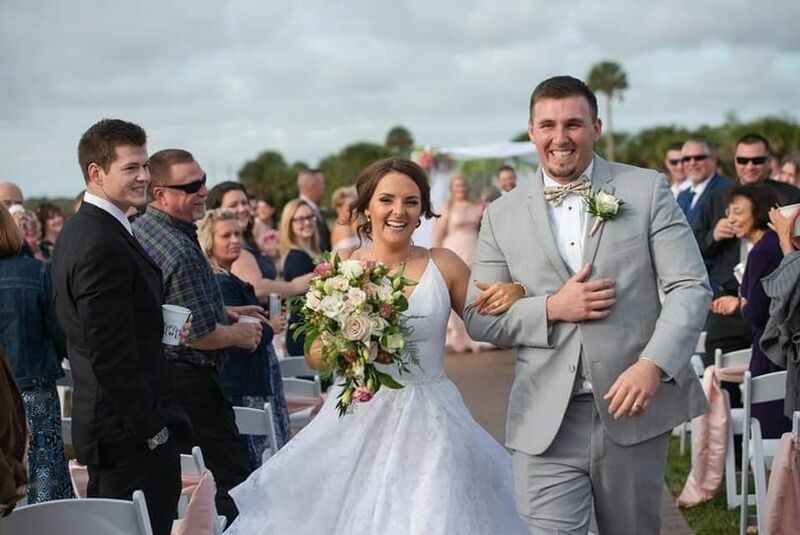 In doing our homework before making any decisions on a DJ, we interviewed over a dozen DJs in the Orlando, FL area, many of whom were highly recommended by our venue and other wedding parties. 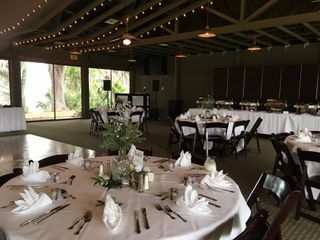 One thing that struck a chord in us was the high number of DJ vendors that are not flexible nor understanding with regards to military bridal personnel when/if their orders/schedules are changed on a moments notice that would cause wedding plans to be modified at a late stage, last minute, or in some cases, cancelled. 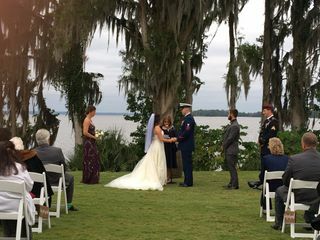 Having a DJ that offers affordable and flexible contract options for military personnel was a critical factor for us, as was someone who would help implement the DJ / music and party vision we had for the ceremony, cocktail hour and reception all the way through to the farewell sparkler exit. Many DJs want you to fit into their cookie cutter DJ plan and were not too keen on customization and they were also double the cost of Brett Brisbois Events. 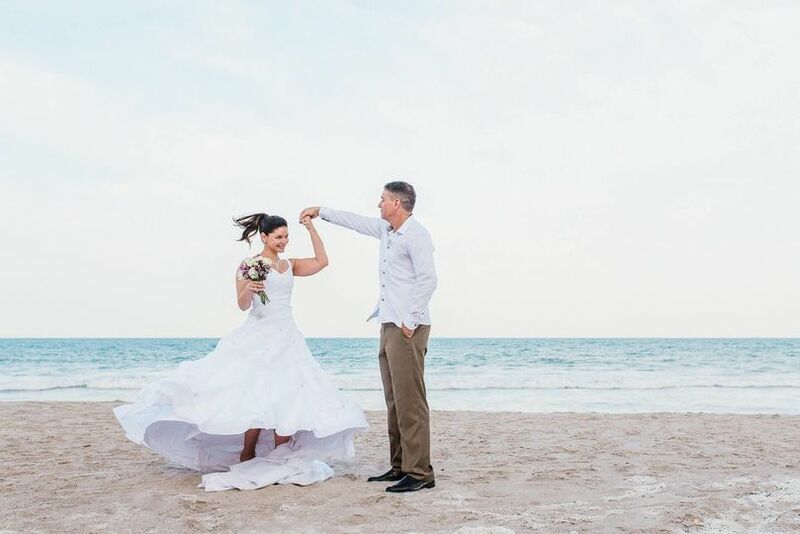 Brett Brisbois was recommended to us by a colleague of mine who hired him to do their beachside wedding. He was a complete pleasure and joy to work with from the moment we reached out to him and he responded to all our emails extremely quick, gave us great advice, and helped us refine our overall vision for the event, including music choices. Brett was always available to speak with us and is very professional, warm and friendly. He is also authentic, genuine and truly cares about making and providing a positive, happy and memorable experience for his customers from the time of first our first contact to all the way through to the end of the event and follow-up. 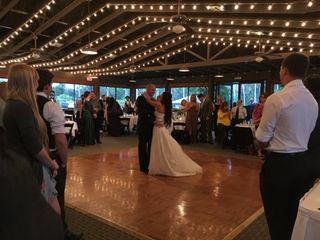 My daughter's wedding ceremony and cocktail hour was outside with the reception indoors. This means we needed speakers in 3 areas, all with music and perfect timing, which Brett and Patty did impeccably. My daughter and husband arrived with a grand entrance in a Vis a Vis Horse Drawn Carriage and Brett perfectly timed the processional music! 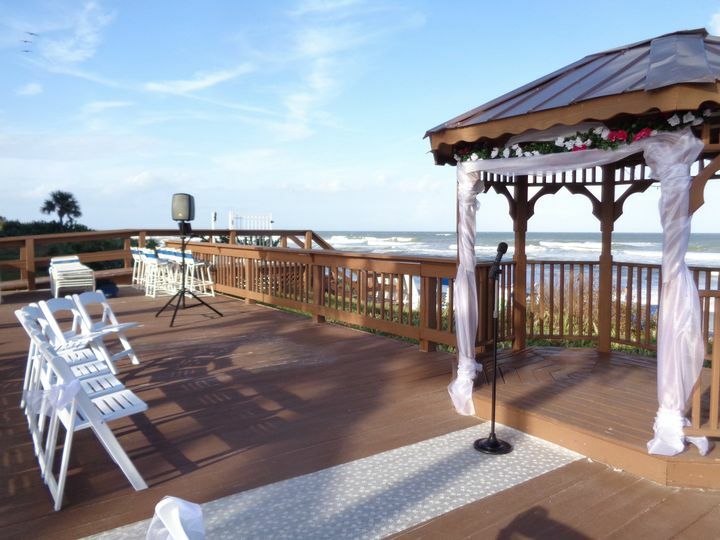 He also made sure the officiant, bride and groom had microphones and could be heard in all areas of the ceremony site. Brett followed all our wishes, requests, and ensured our vision was implemented, even better than we had planned. He collaborated wonderfully with our day of planner and together, they kept us on our timeline with all the activities, dances, dinner, and toasts. His MC skills also kept the party going all night and he and was the consummate DJ, Emcee and professional. 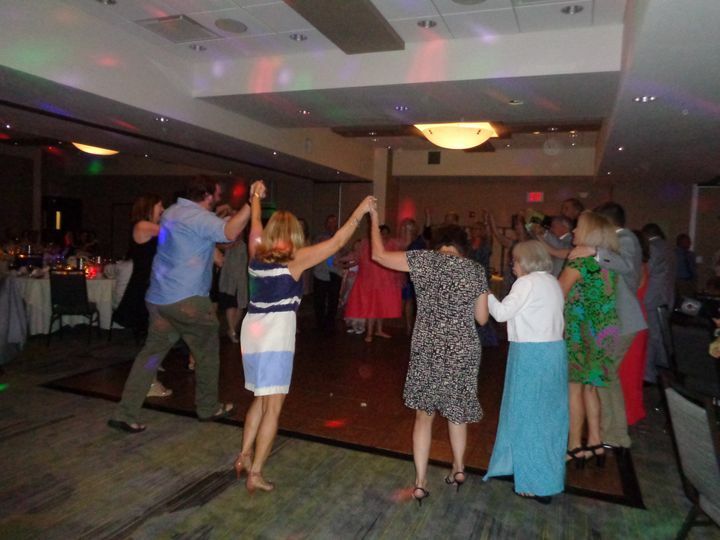 Everyone in the bridal party, our families and all guests LOVED Brett and Patty and their style! People still talk about what a phenomenal job he did, how much fun they had, and how our wedding was the absolute best wedding they have ever been to. That's no easy feat coming from a family who has very high standards, expectations and is accustomed to impeccable service. 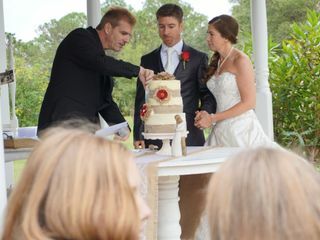 Brett exceeded our expectations and he made our wedding a classy and fun event! I HIGHLY recommend Brett for any and all DJ, Emcee and Hosting events, including weddings, conferences, parties, corporate affairs, holidays, family gatherings, reunions or even casual get togethers. He is by far, the best DJ & Emcee I have hired and worked with over the past few decades. He is very flexible, reasonable, easy going, and just a real pleasure to work with. 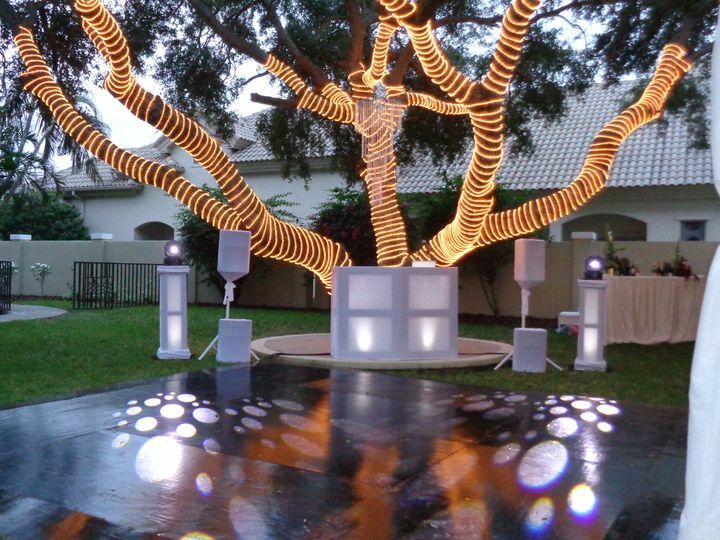 Hiring Brett as your DJ will be the best decision you can make for your event. Thank you Brett and Patty for a wonderful event, we are forever grateful! Brett and Patty were wonderful to work with from the very first contact. They responded promptly to every email and were extremely helpful in guiding us through the process. 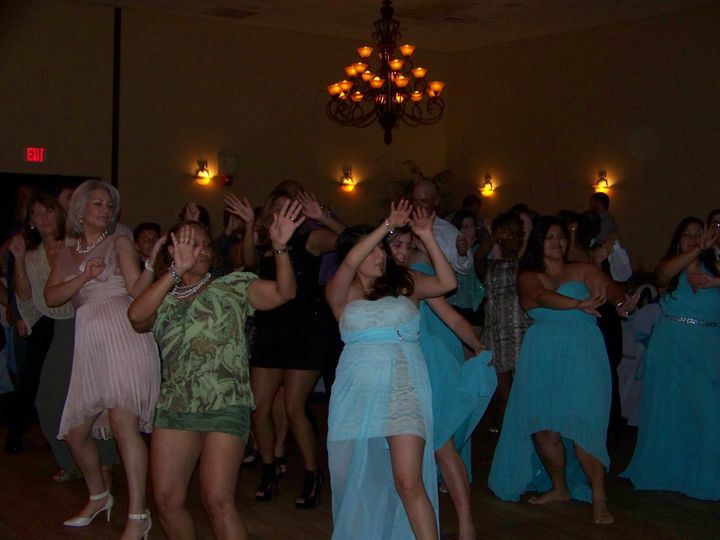 At the wedding reception, they kept everything running smoothly and provided the perfect music for lots of dancing! I would highly recommend them for any occasion! Brett was absolutely fantastic. He kept the party going the music was on point and he was funny. He handled it from the minute the ceremony started to the very end of the reception I could not have asked for a better DJ. You will definitely not be disappointed. Brett and his wife Patty are both professional and personable. 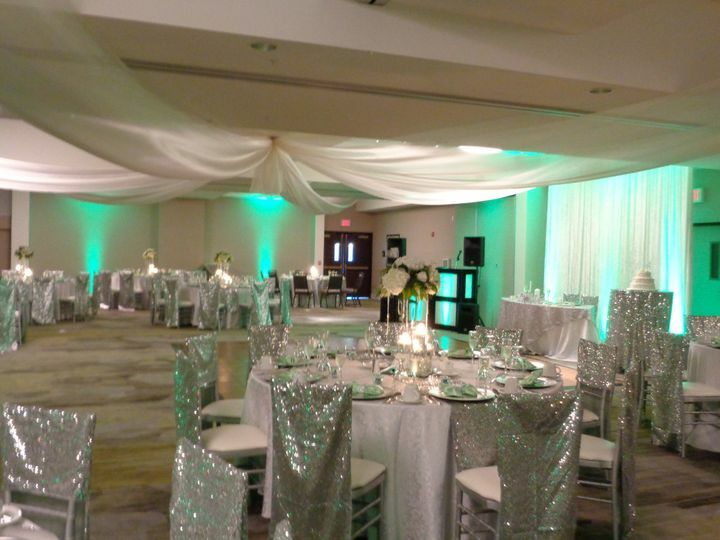 They do a wonderful job at entertaining wedding guests and keeping the party going. 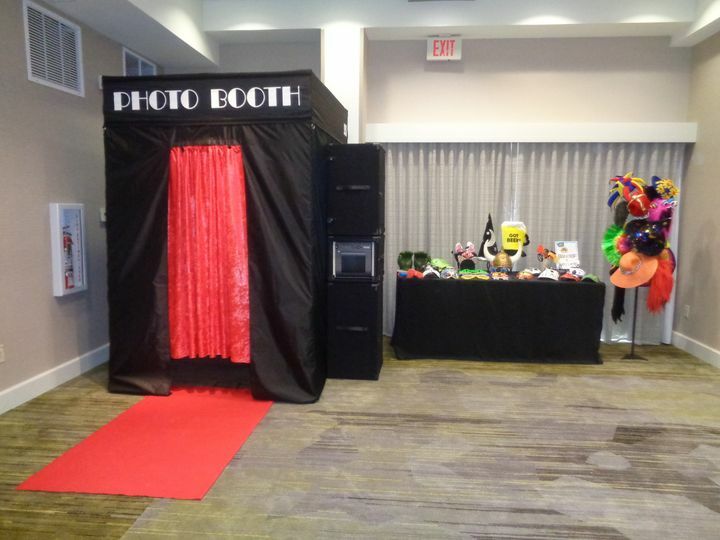 They are reasonably priced and would be a great addition to your wedding day!